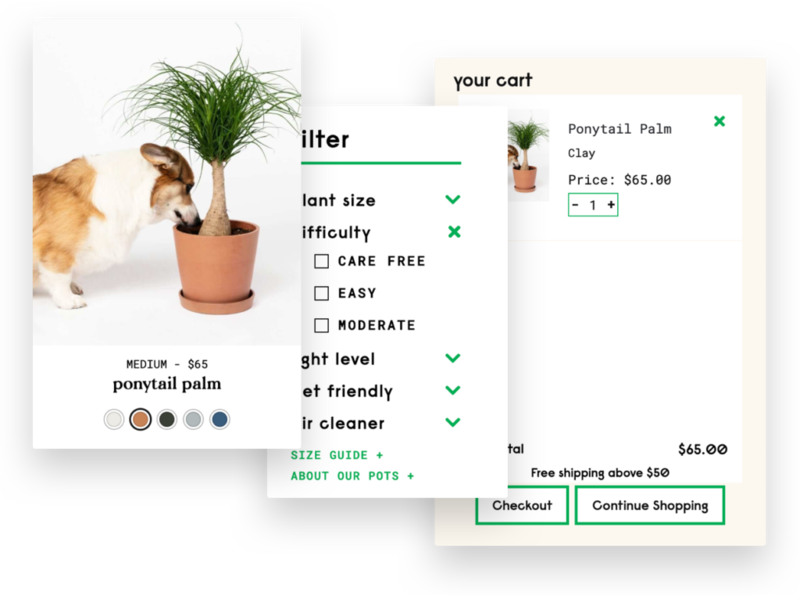 A different kind of eCommerce platform with seamless shopping, shipping, and delivery for mankind’s second-best friend: houseplants. 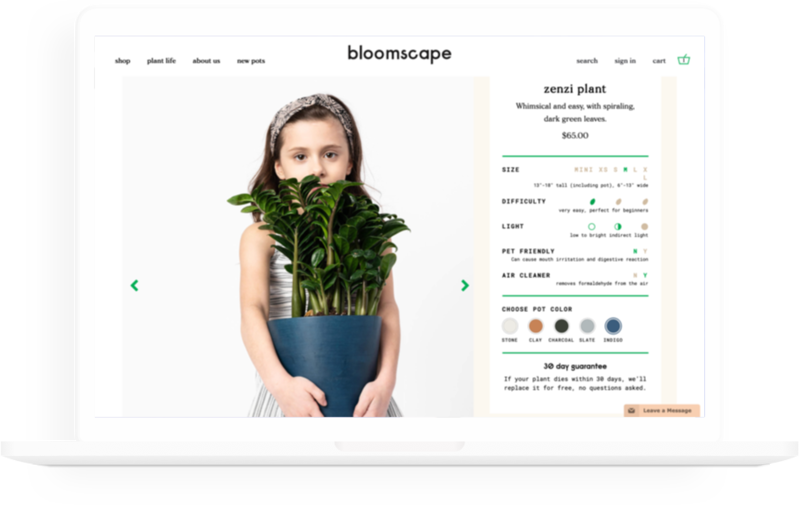 Nolte and LMNOP worked together to align on goals and vision, along with creating a communication strategy that would benefit all parties, including the Bloomscape team. 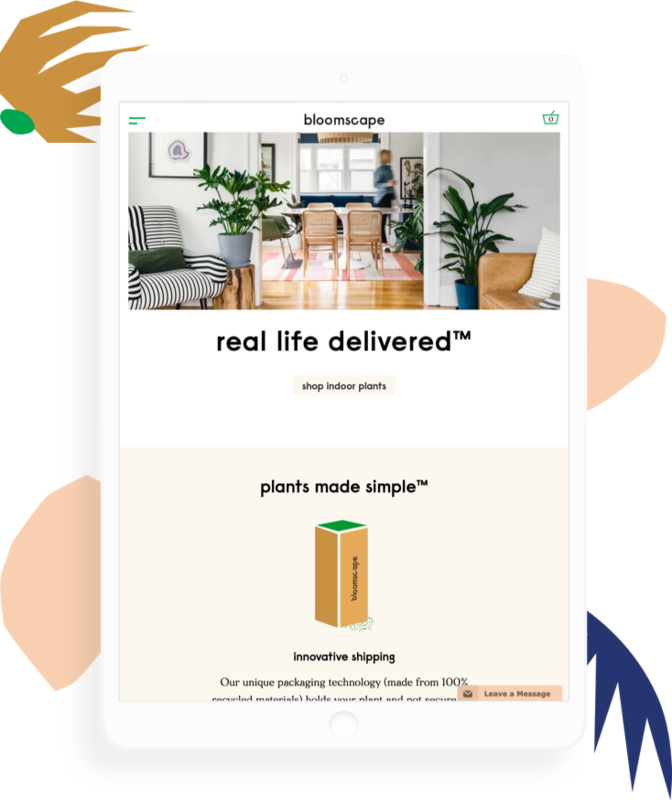 Nolte partnered with New York agency LMNOP to launch Bloomscape, an innovative eCommerce and shipping product that sells and delivers plants in perfect order to their customers. Nolte drove product management, engineering, testing, quality assurance, and overall eCommerce consulting, while LMNOP managed the project, branding, and UX design. 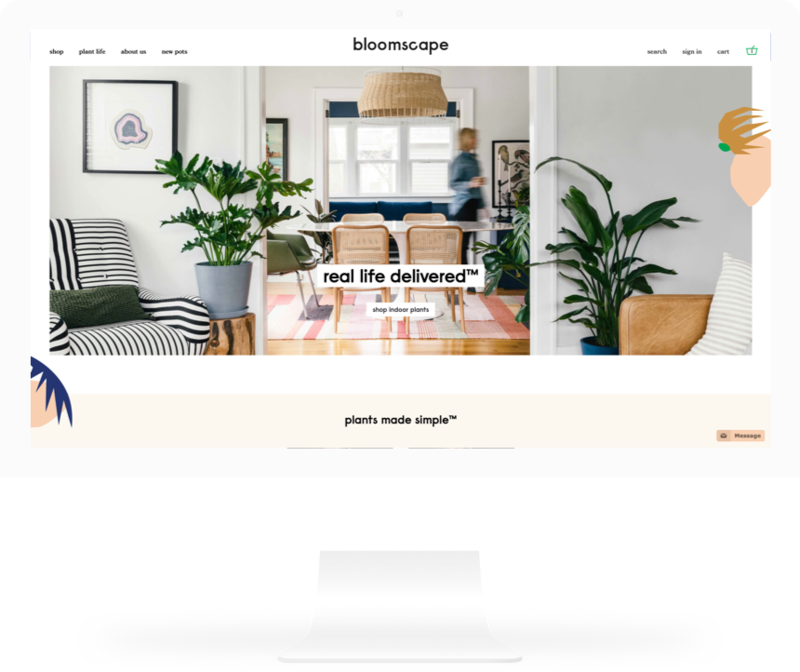 Nolte was challenged with delivering the Bloomscape site in under three months without sacrificing any of the great branding or user experience that LMNOP had created. Additionally, the client wanted top-of-the-line search functionalities and a seamless order process, which Nolte developed and integrated into the web app. Leveraging Agile and SCRUM methodology, we setup a bi-weekly cadence between our teams to ensure consistent communication and delivery. Working in an iterative process allowed us to define, deliver, review, and test in parallel, which greatly increased product quality while also ensuring no time was wasted on unnecessary work. Justin Mast, Founder of Bloomscape, helped to keep our overall teams on track through his vision of the product and educated on how administrative and commerce features would work best for his business. 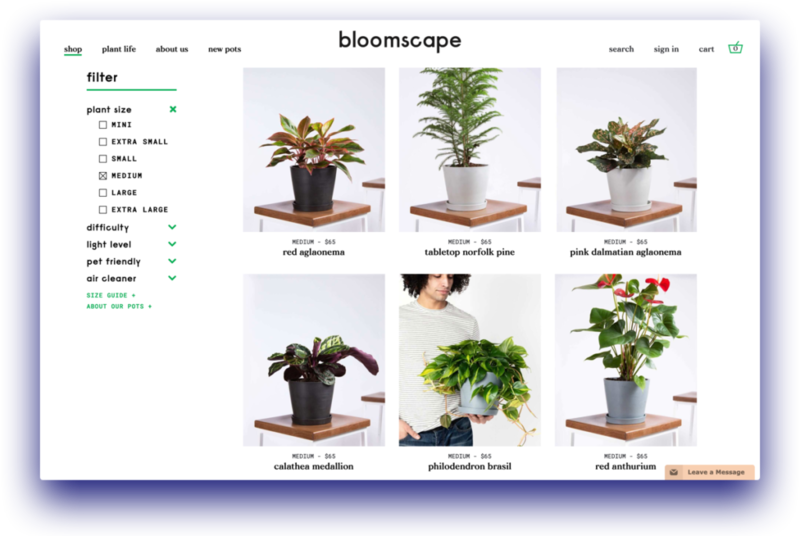 The Nolte team delivered a custom WooCommerce web app which included payment, shipping, and logistic integrations that were directly mapped to Bloomscape’s business processes. Features included extensive custom search, content areas, payment integration including Apple Pay, Google Pay, and Stripe, as well as many custom modules which enhanced the overall user experience. Nolte also leveraged TDD (test-driven-development) to create a test suite for the product to ensure the site can be tested for the duration of the entire lifecycle. 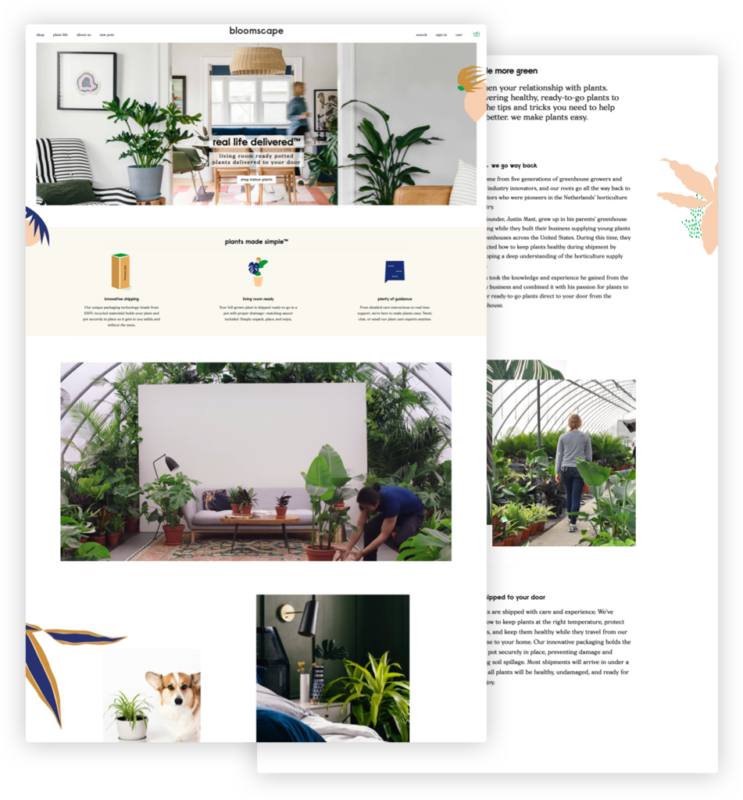 Throughout the process, Nolte kept in close communication with all partners to ensure brand identity and design viewpoints were reflected in the delivery of the new site, as Nolte added new capabilities and features. LMNOP, Bloomscape, and Nolte’s work together made the process smooth, successful, and timely. It was exciting to see our brand come to life. Working with Nolte and LMNOP was a creative collaboration that married branding, aesthetics, functionality, and user experience to create something truly special. Nolte’s excellent communication, expertise, and high standards ensured that our launch was successful. Justin Mast, Founder & CEO – Bloomscape Inc.